Did you know: booking your housing at hotels outside the official Botany 2016 housing block actually hurts the conference? In order to bring our meeting to exciting conference cities, Botany 2016 is required to book a certain number of hotel rooms. The conference works incredibly hard to offer a variety of hotels at rates and services that will provide value to attendees. We vet each hotel to make sure that you arrive to experience a clean, safe property with excellent services and amenities. Botany 2016 has negotiated group rates at the following hotels – All rooms offer free internet and are within close proximity to the Savannah International Trade and Conference Center. See map here! 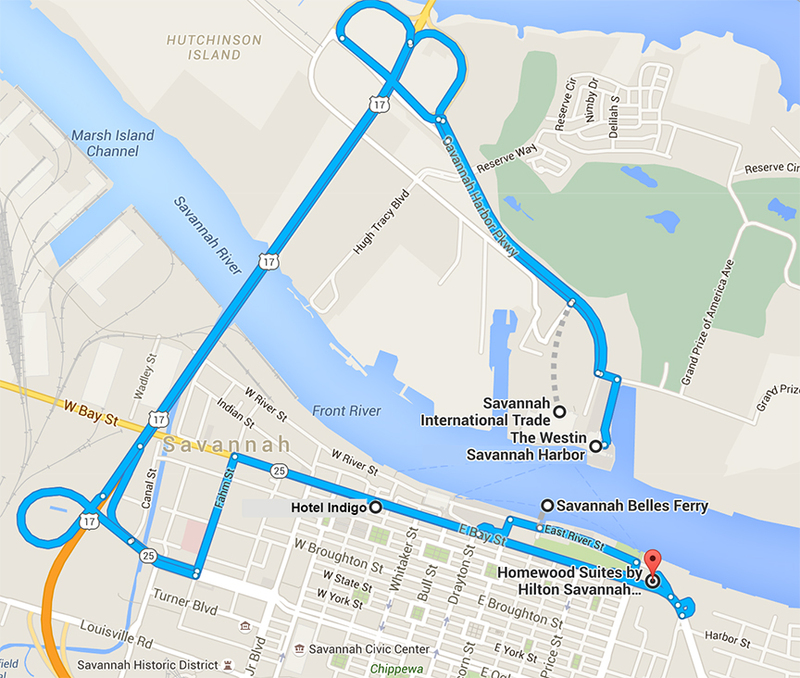 An exciting twist to this conference is that the overflow hotels are a short Ferry Ride across the Savannah River from the Center. The Ferry runs approximately every 10 minutes from the Trade Center Landing to the City Hall Landing....and adds to the charm of Savannah! Ferry schedule. The Westin Savannah sits on the Savannah River with the best view of the "Hostess City" and the historic Savannah River District. 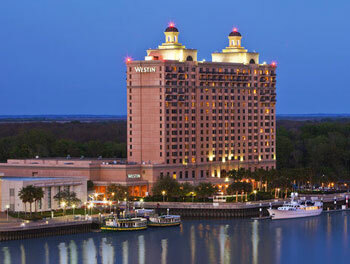 This property’s prime waterfront location sets us apart from other Savannah GA hotels. Our premier resort is not far from fantastic shopping and nightlife, but removed just enough for tranquility. 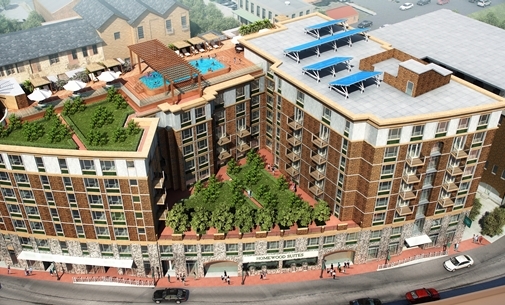 Enjoy complimentary water ferry service to River Street, refreshing guest rooms, and comfortable public areas. Be well. Be Westin. Like our Spanish-moss-draped city herself, Hotel Indigo® Savannah Historic District is the perfect mix of old and new. Our building—known to locals as the "Grand Lady on the Bay" due to her sweeping size—was once a 19th-century mega-merchant's dry goods storage house and shop, which was filled with everything the South made best, from tobacco to canned peaches. Situated at River Street East in Savannah's famed Historic District, Homewood Suites by Hilton Savannah Historic District/Riverfront offers views of the Savannah River to enjoy from your guest room balcony or from our resort-style rooftop area that includes a heated pool, cabanas and a fire pit. 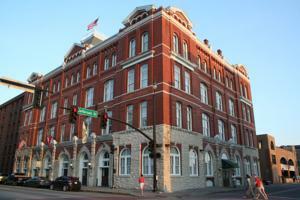 This Savannah hotel is ideal for extended stays or short trips for both the leisure and business traveler. Discover all the comforts of home while taking in breathtaking views of the Savannah River and Georgia's first city. Each suite at this riverfront hotel in Savannah has a comfortable bed and a fully equipped kitchen with a full-size refrigerator. Savannah is served by the Savannah Hilton Head International Airport. Transportation options to the hotels and can be found here. A cab ride to our hotels will be approximately $28 - $30.00. Questions provided below are based on information that may be useful in making a roommate selection. Each participant submits his/her own data. Therefore, Botany 2016 can assume no responsibility for the veracity of any statements in this database. Registrants are responsible for contacting individuals on the password-protected list and for making their own arrangements. Only one roommate should make the hotel reservation. It is recommended that you make your hotel reservation early. To be included in the database, please submit your name, e-mail address, and pertinent information on the form below. By using this form, you are acknowledging that Botany 2016 assumes no responsibility for any difficulties or consequences arising from a shared room and recommends that potential roommates be screened carefully. Also, it should be noted that data does not travel in an encoded form, so data transmitted may be available. (The security risk during data transmission is comparable to sending an email. Data is stored on a web site.) The database site is password protected, but still private details about roommate preferences that one does not wish to share with other participants should not be posted here. The roommate locator service is not a secure site! Page generated in 0.6069279 seconds.